Choosing a color for your home exterior deserves special attention, especially since your decision remains on your house for a long time. With so many available palettes to choose from, it’s helpful to know that experts like Better View Windows and More are here to help you make the right choice. As one of the trusted roofing contractors in the area, we can help transform your home’s appearance with our premier workmanship. We share some tips to help you choose the right color combinations for your roofing and siding project. If you want to preserve your home’s rich history, you will probably want to go with a historically accurate color palette. You can seek assistance from professionals to analyze your home’s old paint colors and recreate the original color. The simpler your home is, the more simple the color palette you will need for your roofing and siding. Consider the overall history of your home, because what you will plan to do will become part of that history. Your neighbors’ homes can give you color ideas, but we recommend that you don’t copy their palette exactly. While you do not want to totally replicate your neighbor’s design, you can still get inspiration from them. Does your home share the same architecture with the house next door? Or does your home stand out, like a farmhouse surrounded by newer homes? Whatever it is, choose a palette that coordinates with what is around you. As a trusted siding contractor in the area, we can help you come up with paint ideas that will not overpower your neighborhood while still making your home stand out from the rest. Roofing materials follow their own color palette. While your exterior siding paint color does not need to be the same as the roof, they should at least complement each other. Starting with what’s there already is easier to replace than an entire roof. 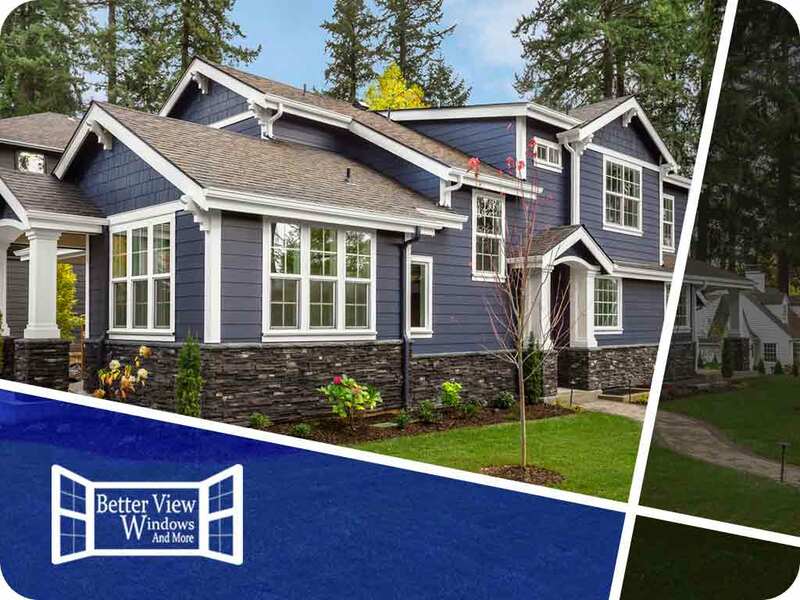 As you plan to make changes to your roofing and siding, it’s important to talk to professionals like Better View Windows and More to make sure you’re making the right choice. Apart from roofing and siding, we also offer windows and doors installation. Call us at (757) 655-3017 to know more about our services. We proudly serve the areas of Virginia Beach and Norfolk, VA.